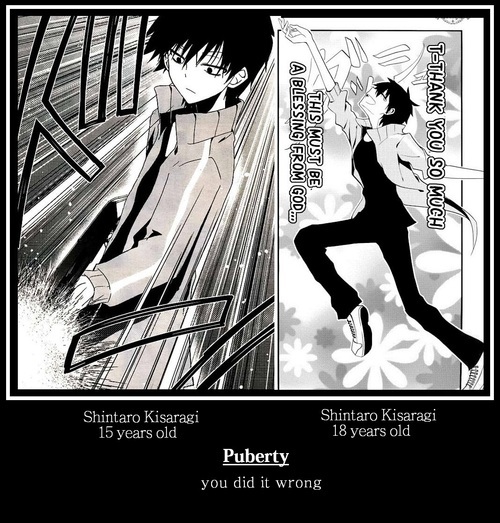 Shintaro's Puberty. . Wallpaper and background images in the Mekaku City Actors club tagged: photo shintaro. This Mekaku City Actors photo contains anime, komik, manga, and kartun. There might also be koran, kertas, majalah, tabloid, kain, rag, tanda, poster, teks, and papan tulis.